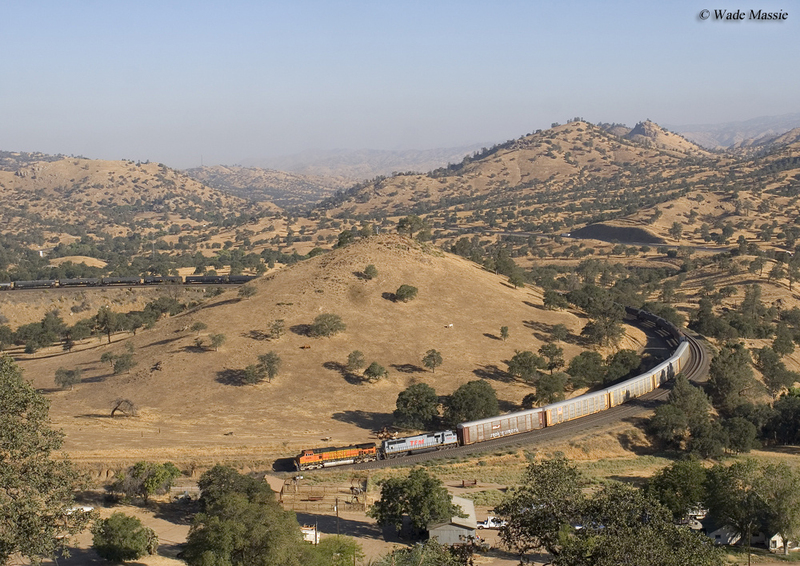 The Southern Pacific's Tehachapi Loop was an engineering marvel of its day and remains an important artery of the Union Pacific system today. The loop was constructed in the latter half of the 19th century as part of Southern Pacific's main line through southern California, which had to cross the Tehachapi Mountain range. Its intent was to gain elevation at a manageable gradient and has worked so well for nearly 125 years that it has remained virtually unchanged and in regular use. When the hobby of railfanning began to gain steam in the mid-20th century folks flocked to the site to not only watch the trains cross over themselves but also for the area's stunning scenery. The Southern Pacific has a whole host of renowned achievements it is credited with, far too many to go into detail here. 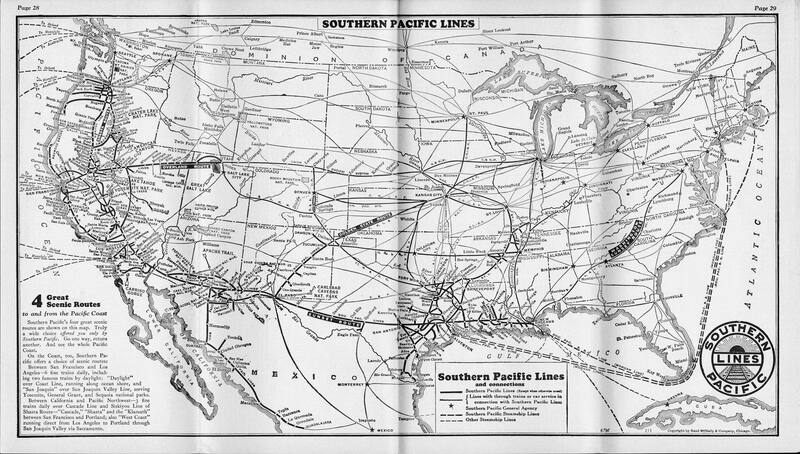 However, to name a few it had three important main lines which continue as important arteries under Union Pacific today, the Overland Route (San Francisco to the Midwest), the Golden State Route (the Southwest to Kansas City), and the Sunset Route (the Pacific Coast to the Gulf Coast). The railroad also had numerous famous passenger trains bedecked in its celebrated “Daylight” livery of bright red and orange (with black and white trim), one of the all time classics in American railroading. Many of its trains shared the same name as its paint scheme, Daylights. These include such names as the Coast Daylight, Sacramento Daylight, San Joaquin Daylight, and Shasta Daylight. Other notable trains included the Lark, Sunset Limited (still operated by Amtrak), Starlight, San Francisco Overland, City of San Francisco, and the Golden State Limited just to name a few. 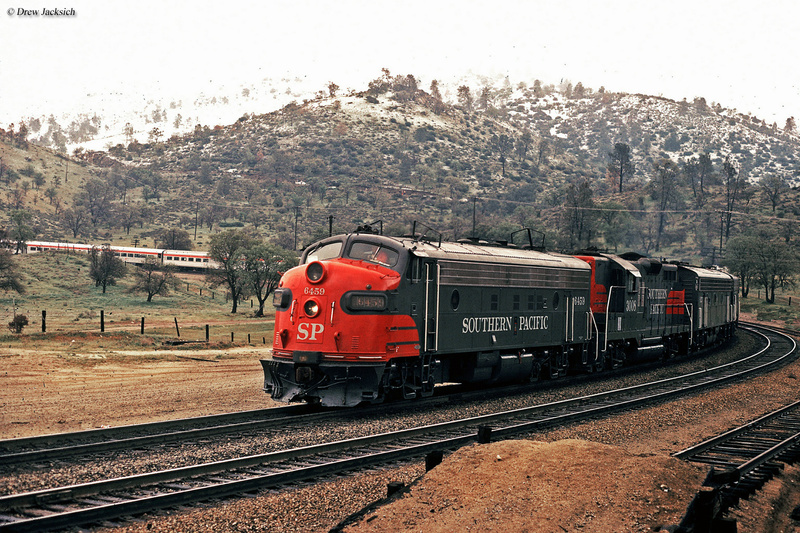 Upon building its main line through south-central California and the San Joaquin Valley the Southern Pacific found that it would be required to traverse the short, but steep Tehachapi Mountain range, which averaged about 6,000 feet in height across its line. 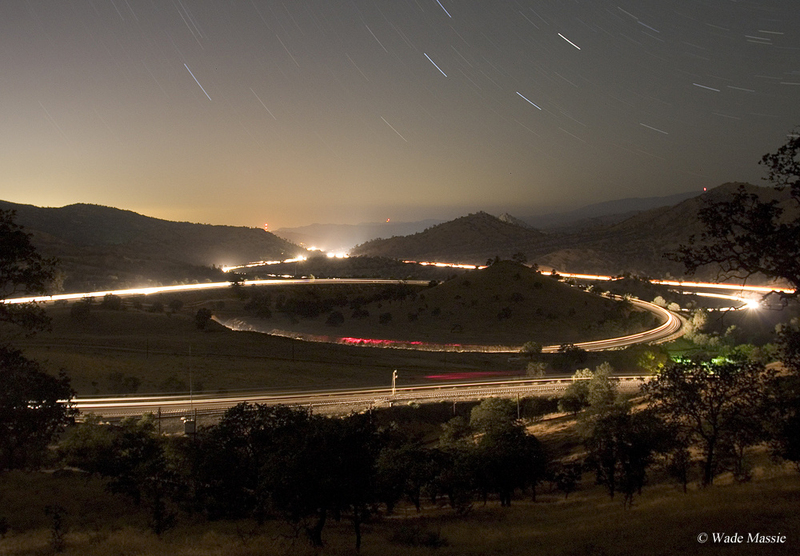 The best grade through the region was the Tehachapi Pass, located along the northwestern section of the mountain range, and is where the SP ultimately decide to lay its line. 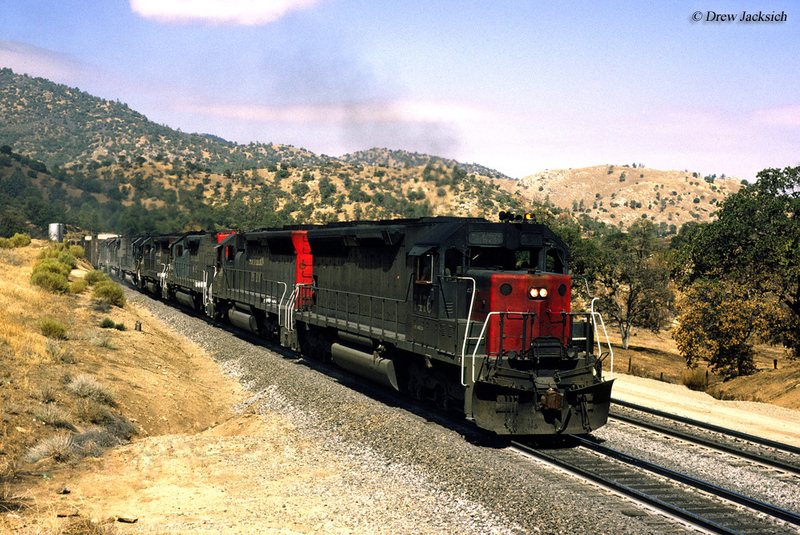 Tehachapi Loop began construction in 1874 and was constructed by Southern Pacific's civil engineer, William Hood. To keep grades around 2% through the pass, Hood elected construct a loop which would pass over itself as a means of gaining elevation. Built during a period of time when almost no type of heavy machinery existed except dynamite the loop was built using a large force of laborers, which mostly consisted of Chinese workers, more than 3,000 in all. Hood's loop used cut and fill methods to keep the grade at no greater than 2.2%, which, of course, featured a short tunnel and overpass. It ultimately covered about 3/4 of mile gaining an impressive 77-feet in elevation over the short distance. The Loop was officially completed two years later in 1876 and was not only Hood's crowning achievement of his career but also cemented him in the annals of history as one of the great engineers of all time. At the time of the loop's completion, however, no one could have imagined the length trains would reach. Today, with train's more than a mile in length it is possible to see the unique phenomenon of watching Union Pacific and BNSF Railway freights crossing over themselves on the loop, which is a major draw for railfans along with the many trains that pass through the area each day. Throughout the years there have been a number of impressive photographs taken capturing this phenomenon and the panoramic scenes are quite breathtaking. However, perhaps no other time was more interesting on Tehachapi than during the steam and passenger era. 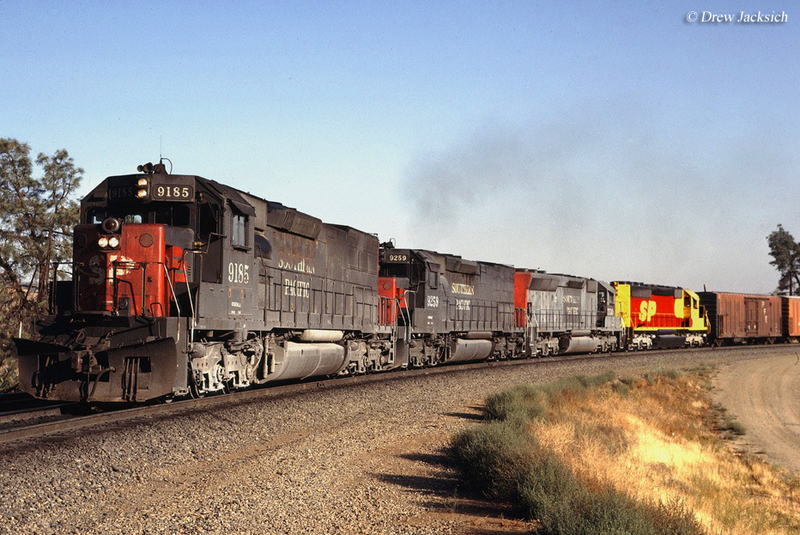 Before 1971 one could witness trains such as Southern Pacific's overnight Owl (San Francisco/Oakland - Los Angeles) and appropriately-named Tehachapi (Fresno - Los Angeles) swing around the loop or watch "Cab Forwards" work hard moving reefers upgrade and Santa Fe FT's doing the same. Today, of course, things are much different and passenger trains are no longer forbid on the loop, a situation that began with the startup of Amtrak (although, in cases of detours there have occasionally been movements over the loop). Finally, if you are ever in the area be sure and stop by the small railroad museum located in the town of Tehachapi.